Well, never let it be said that you can’t learn something new. In a matter of a few weeks I’ll be a licensed to carry pistol packing mama. You might be wondering why I went through the course. I can explain that, but more importantly I think it’s also important to know what I’ve learned through this process and more importantly, how you can do it, too. Why would I want to be a pistol packing mama? My husband and I are real estate agents here in Central Texas. It’s a dangerous business holding open houses, meeting people in empty homes, viewing acreage in the country, etc. Last year there were attacks on REALTORS® in the Austin area (part of the area we service). Both men and women agents were being attacked in homes. Real estate agents have been murdered, beaten, raped, and abducted from homes. We take precautions but there is always that chance that something bad can happen to us. You just never know. We don’t hold open houses alone. We always know where the other is and whom they are seeing. We often go together, or my husband will meet them first and when he’s comfortable with them, we’ll trade off and I’ll show houses, if he’s working with other clients. It’s wise to be careful and safe. In addition to being real estate agents, we live in a dangerous world. Do I want to hurt someone? No. I simply want to be able to protect myself and those that are with me. I don’t want to be a victim or a survivor. I simply want to avoid that situation, but if I’m in one, I need to be able to protect myself. Bottom line. This has been a real eye-opener for me. I’ve shot a rifle for some time and I’m fairly comfortable with them. However, pistols are a whole separate beast. They are smaller and seem more dangerous to me. Book work and shooting are two separate things and it takes both to pass the course. Practice may not make you perfect, but it can definitely make you better. The only thing that I truly feared was hurting someone, myself included. You are never too old or set in your ways to learn something new. Be informed. Find an instructor that you’re comfortable with. For us, it’s important they were Christians and that I wouldn’t be yelled at. 🙂 There’s a way to teach and instruct without yelling, fear tactics, or being too intense. My husband made sure that our instructor would not do these things. He knows me well. He informed the instructor I would freeze up if he did those things. He didn’t and I did great! Take the time to practice and to get familiar with the gun you’re going to use. That was a lot of my fear as well. Now, I’m a LOT more comfortable with my pistol and will have no qualms about carrying it. I love the 2nd amendment. It’s our right to be able to carry and defend ourselves. I LOVE our Constitution and our founding fathers for protecting my rights … all these years later. They were very smart men. Criminals don’t follow the rules. Just remember that. Law abiding citizens do. Who’s more apt to come after me? A criminal. Very important for me to remember this. How can you get your License to Carry in Texas? 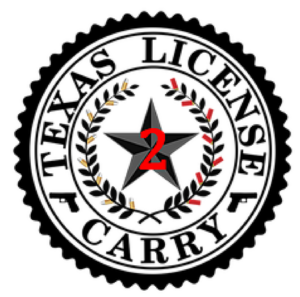 We took our License to Carry course through Texas License 2 Carry in Killeen, Texas. The instructor, Damon Cross, was very thorough, informative, and kept us entertained in class. Our $65 fee included his time, lunch (which was provided at the restaurant where we met), and the range fees. The State of Texas requires 4.5 hours of classroom instruction and then you have to pass the shooting portion – 50 rounds using a pistol at a gun range. You can rent equipment from Mr. Cross. As I mentioned previously, Mr. Cross and his family are Christians, and that’s important to me (well, to both Johnny and me). The class was informative and educational – and humorous throughout. There’s a 25 question test at the end of class and you only need a 70 to pass. Easy peasy. By the time we drove to the range (the last hour or so of the class), I was much calmer than we started. Mr. Cross was very professional and very safety oriented. He told us exactly what we needed to do when we needed to do it and walked us through the whole process of the shooting portion of the class. It was awesome. He made me feel so much better. My grouping was more like a shot gun blast by the time all 50 rounds were expelled, but I passed! If I can pass, anyone can. I can say I am much more comfortable with my gun and very much pleased that we took the course from Texas License 2 Carry. I highly recommend them! 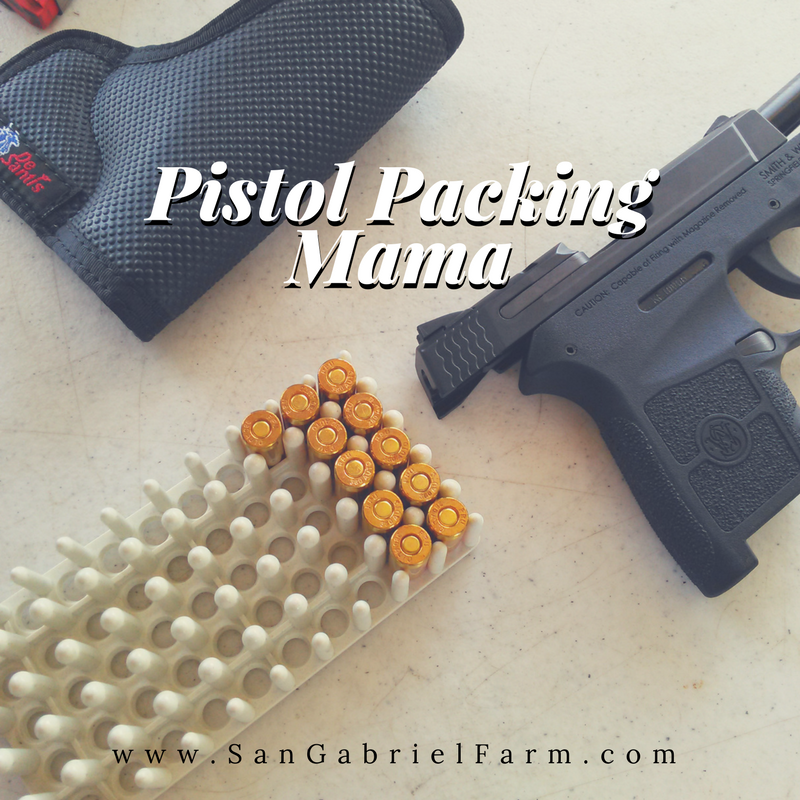 If you’re ready to be a pistol packing mama, I highly recommend you do your research and find a local, reputable instructor/company. Ask around. Talk to friends. Read reviews. Thanks, JoAnn! It’s been on Johnny’s to-do list for us for quite some time. I’m so glad it’s done, though, and even happier that I passed! I need to work on getting my groupings closer together.